Light up a colorful display! 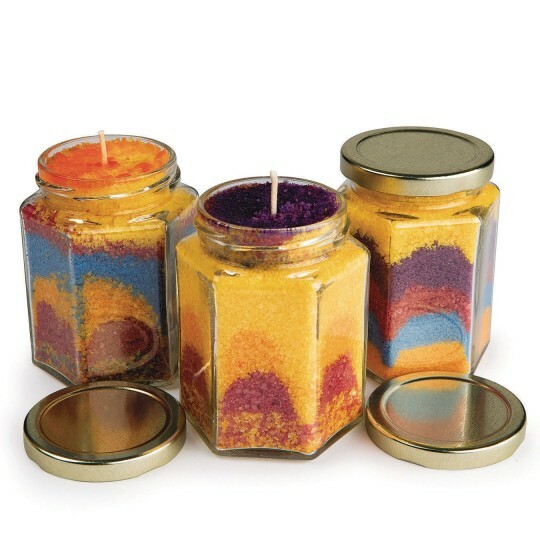 This is a great kit for making granulated wax candles using sand art techniques. Kit includes 5 lbs. 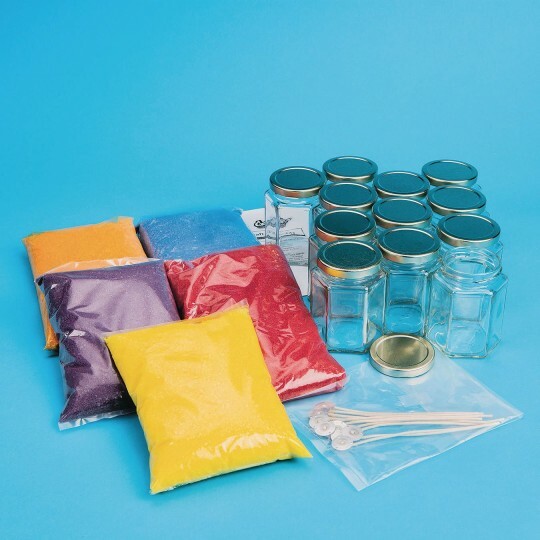 granulated wax in assorted colors, 12 hexagonal shape jars with lids (9 oz. ), 12 wicks and instructions. Wax colors will vary. Finished candle jar measures 3"W x 3-3/4"H.